The world’s top-rated turf horse sprinted home to claim her third consecutive Queen Elizabeth Stakes over 2,000m, in front of 50,000 boisterous fans at Royal Randwick in Sydney. The win stretched to 25 her unsurpassed number of Group One victories – the highest class of thoroughbred racing which attracts the best horses and biggest prize money. She was hot favourite and with long-time jockey Hugh Bowman in the saddle there was only ever going to be one winner, cementing her place in horse racing history alongside fellow Australian greats Phar Lap and Black Caviar. So confident was one punter that he bet A$550,000 (HK$3.09 million) to get a A$33,000 (HK$185,555) return on the win. Her final run gave Waller his 100th Group One winner. 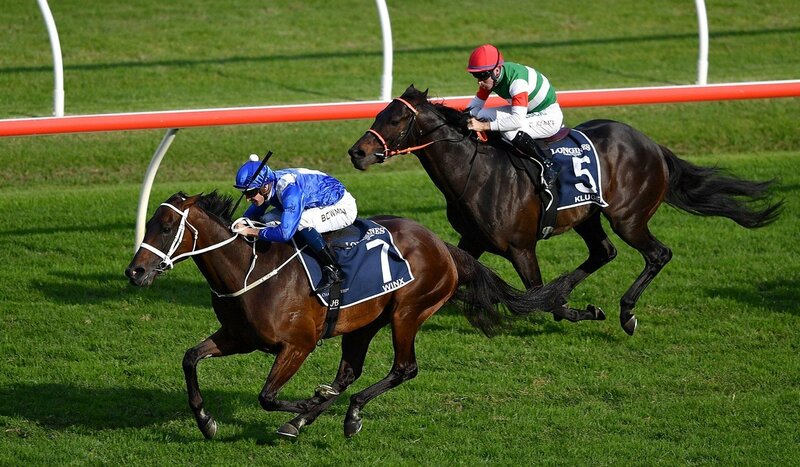 Winx, who has banked more than A$26 million (HK$146.21 million) in prize money, will now head to the breeding barn in what could be another hugely lucrative career. She smashed legendary sprinter Black Caviar’s Australian win record last August when making it 26 in a row, and surpassed retired northern hemisphere jumper Hurricane Fly’s then-record 22 Group One victories at the Chipping Norton Stakes last month. “Purely in racing terms, I reckon it’s the most anticipated race and race day in my lifetime,” he said before hosting Channel Seven’s coverage.